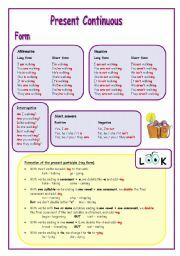 A worksheet to revise the past simple of regular and irregular verbs. 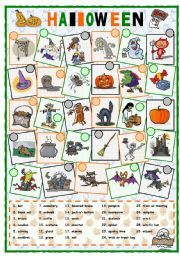 Students have to find the past simple of the verbs in the grid, then complete the sentences with those verbs and match the sentences with the pictures. 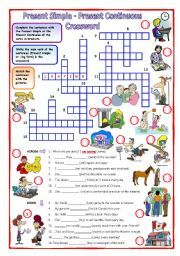 This worksheet contains a short grammar reference and 5 exercises about the verb "Be going to" in order to practice all forms: affirmative, negative and interrogative. Answer key included. Hope you like it!! 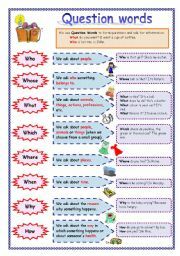 This is a worksheet about question words. 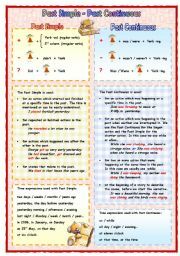 There is a grammar guide and some exercises on the topic (6 pages in all). 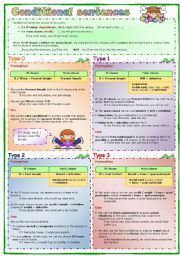 Hope it will be useful for you and your students!! This is the first part of a worksheet about Present Continuous. There are 5 pages that include a guide and some funny exercises for the studdents. This worksheet consists of a grammar guide and 7 exercises on conditional sentences of all types: zero, first, second, third and unless. Answer key included (6 pages in all). Hope you find it useful!!! Second worksheet about quantifiers: much, many, a lot of, (a) little and (a) few. 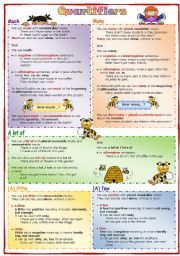 It consists of a grammar guide and 7 exercises (4 pages + answer key). Hope you like it!! 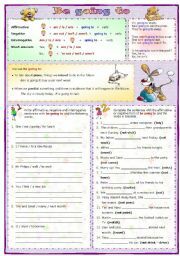 A worksheet to revise the difference between Present Simple and Present Continuous. 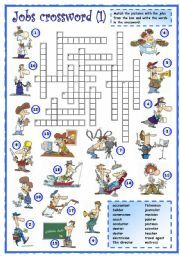 Students have to complete the sentences with the right tense, then they have to write the verb (present simple or -ing form) in the crossword, and finally they have to match the sentences with the pictures. A worksheet about the difference between the past simple and the past continuous. It consists of a grammar guide and three exercises. The answer key is included. Hope you like it! !